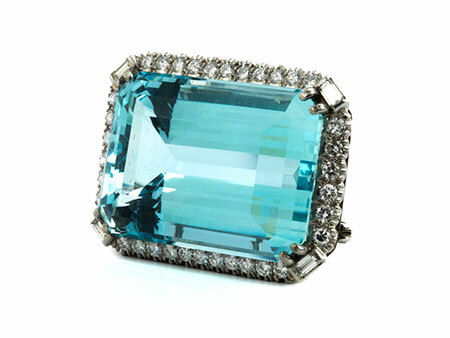 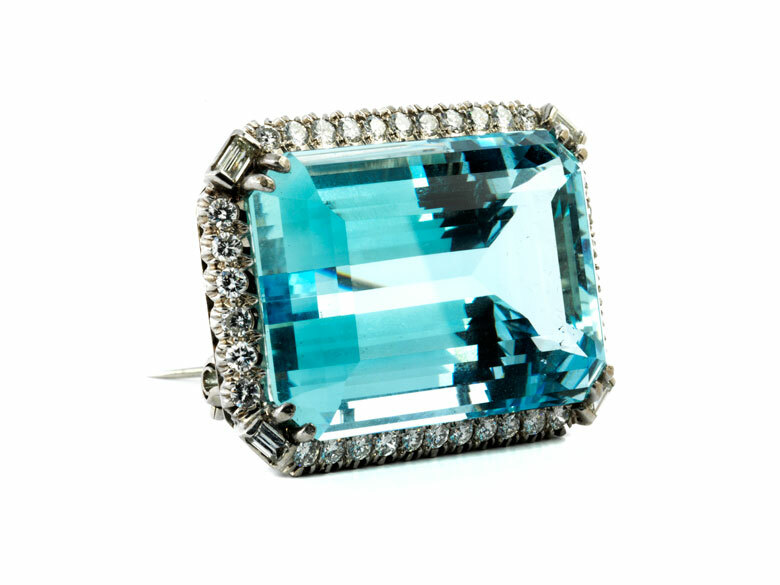 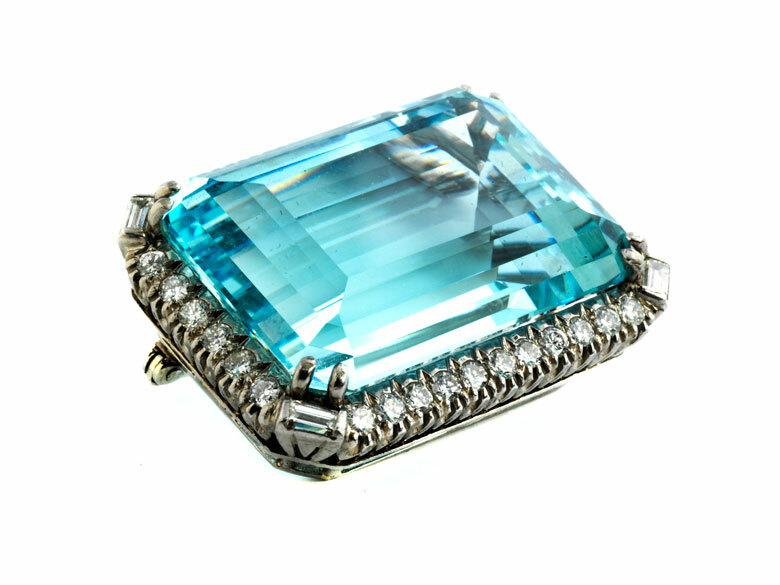 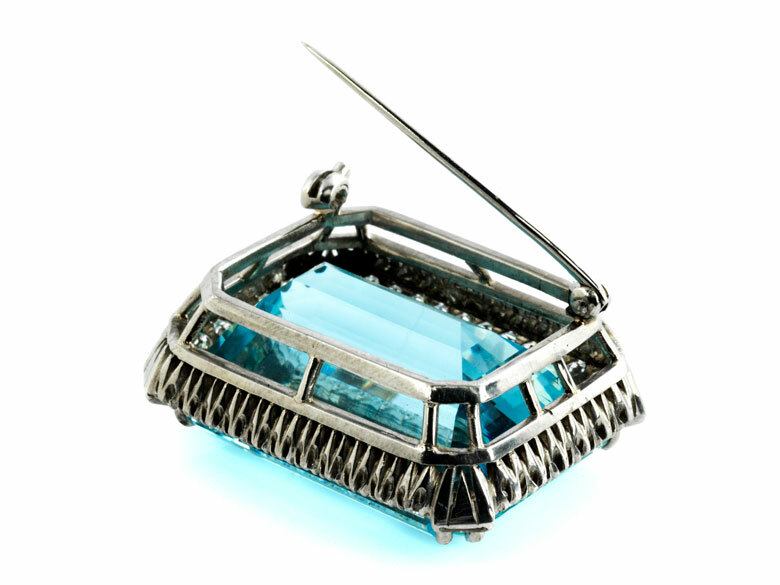 Premium, geometrical brooch with fine, octagonal, step-cut aquamarine, ca. 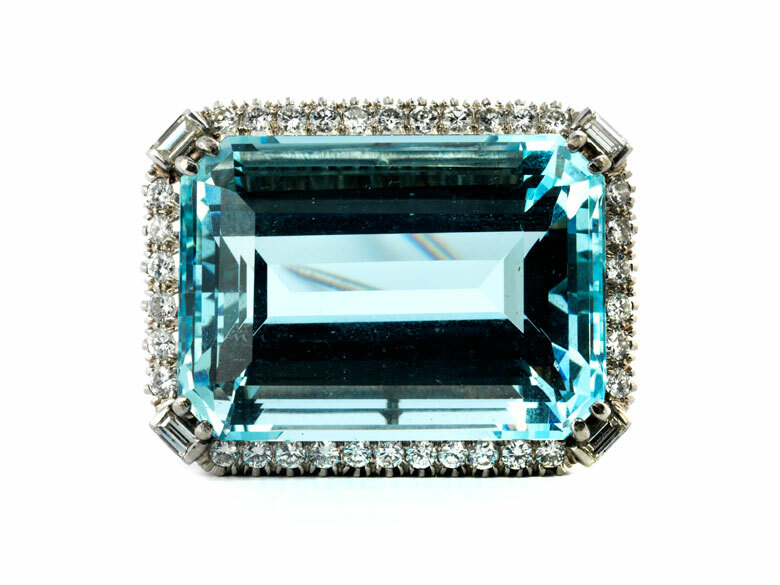 68 ct, with a surround of brilliant- and baguette-cut diamonds, totalling ca. 1.7 ct.